I placed an order with Mrs. Brimbles on etsy and I wanted to share. As expected Anna was a delight to work with, especially when I had a bit of trouble. One of my co-workers recently ordered an Erin Condren lifeplanner and boy was I tempted to order one myself. But I really do love my Personal Finsbury that I’ve been using for awhile now so instead of buying a lifeplanner I bought some new Filofax inserts. 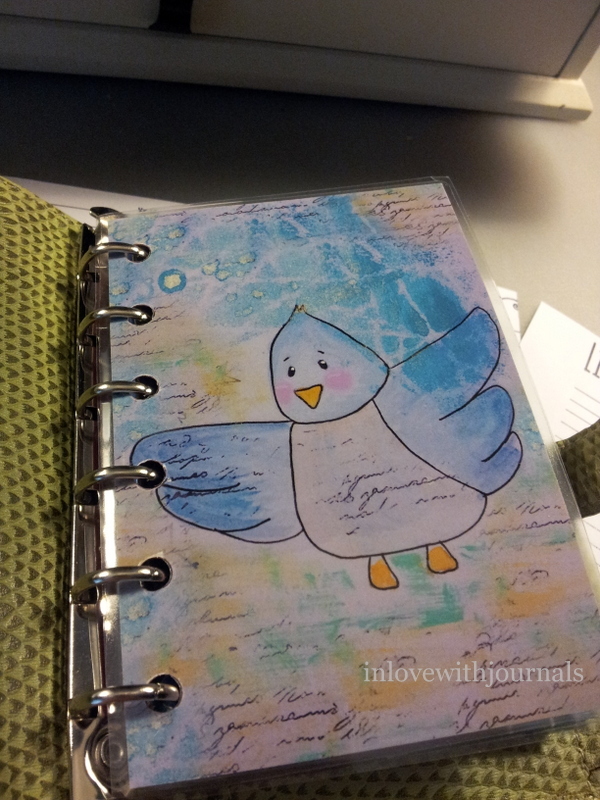 I did purchase other things from Erin Condren….more on that when they arrive! I’ve been following Anna on YouTube for quite some time and I love her etsy shop. 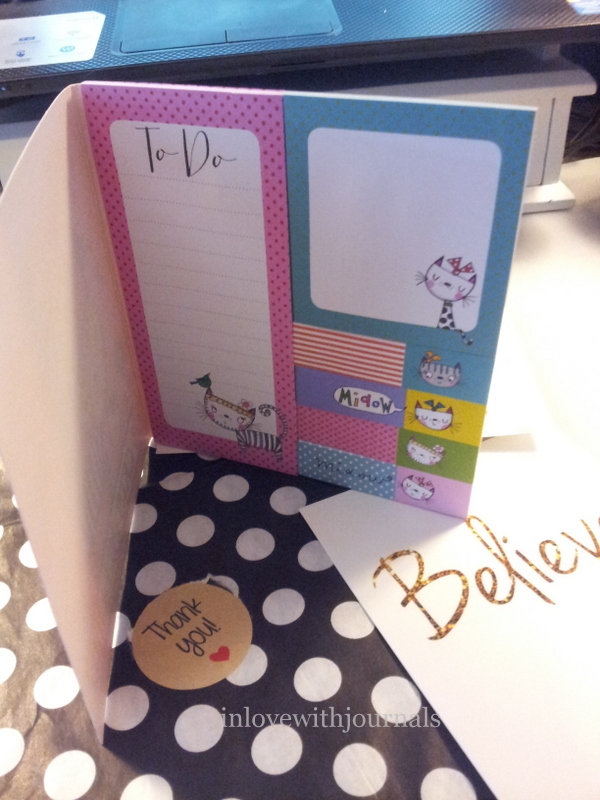 So I ordered the Cute Kitty Cat Personal Diary Inserts and the Cute Kitty Cat Diet, Health and Fitness Inserts. I purchased the Personal size but they are also available in the A5 size. These were sent to me immediately in the form of a zipped file. Only when I tried to open them I got a virus message and the files were deleted! Please know this is NOTHING to do with the files themselves but EVERYTHING to do with the security settings on my laptop. Being somewhat technically challenged I couldn’t see a way around this. So Anna very kindly set the files up in Dropbox and sent me an invitation. That worked and I am thrilled with them! I printed them myself and then cut them out. Above you can see a few of the pages. There are 13 different templates in the Kitty Diet, Health and Fitness set (like Daily Calorie Intake Tracker and Pet Health Tracker ) and 17 different templates in the Kitty Diary Inserts set (like Notes and To Do). She sends 3 different files for each. I paid about $12 Cdn for each set. Lovely. I had no problems printing them out; Anna includes instructions for printing with each set. As they are proprietary designs I’m not going to show any more pictures of the inserts themselves but check them out on Anna’s etsy page. Absolutely adorable with the kitty faces! 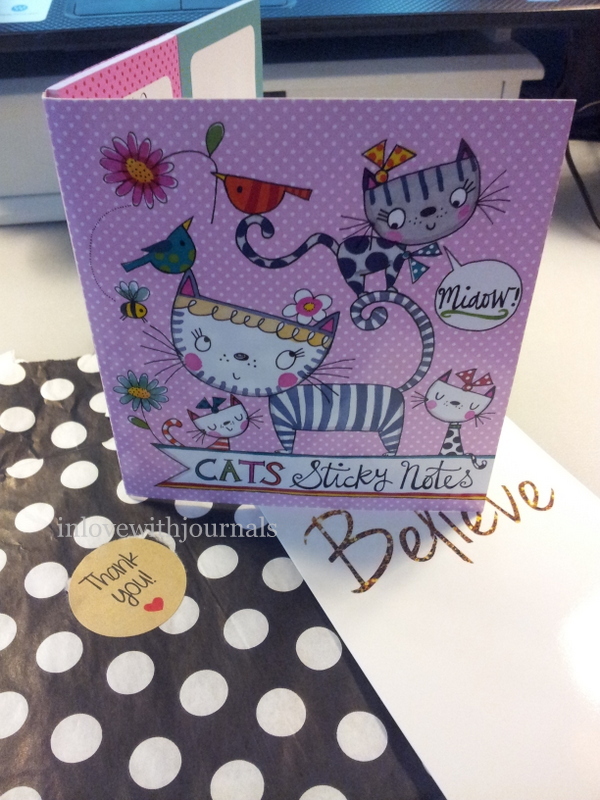 I also ordered a Blue Bird dashboard and a set of Kitty Cat sticky notes and page flags. As you can see I ordered the POCKET dashboard instead of the PERSONAL dashboard! But I love the design so much I stuck it in my pocket Chameleon and ordered the correct size. And here are the notes/flags. So cute. And very sticky, unlike some of the Japanese notes which fall off as soon as they are stuck down. And that’s it for this order. There will be another piece coming, as I mentioned I ordered the personal size Blue Bird dashboard. I highly recommend Mrs. Brimbles for diary inserts and cute planner supplies. Anna is a wonderful communicator and willing to be creative when technology gets in the way! Thanks again Anna!! Yep I just couldn’t resist them!